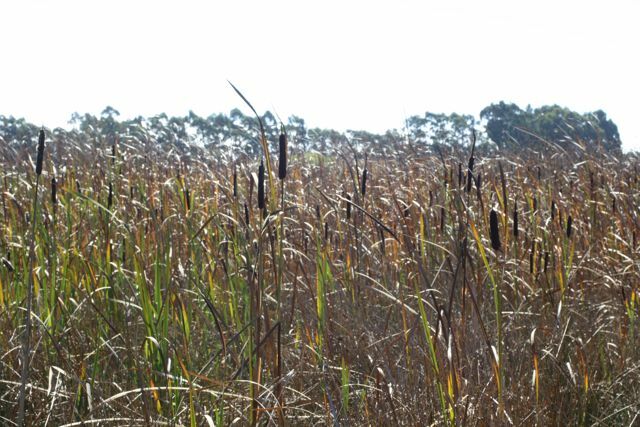 Common cattail is a common sight in wetlands, ponds and roadside ditches. 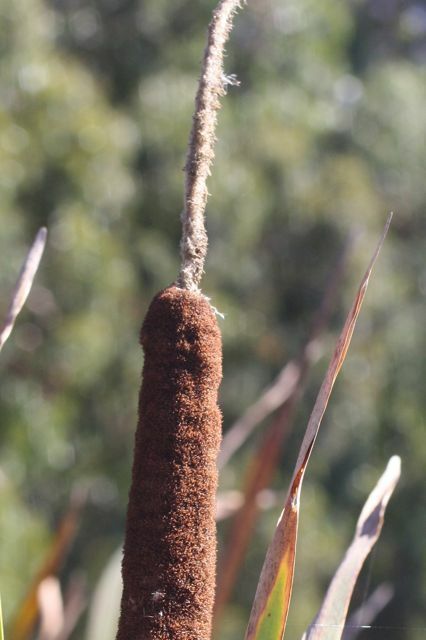 These tall reeds have blossoms that look more like sausages, with long brown cigar-shaped flower heads that really look nothing like flowers. But the sausages are actually flower heads, with the female flowers clustered in the lower, plumper segment while the male flowers are clustered together above. This is common cattail, or Typha latifolia, which is also known as broadleaf cattail or soft flag. In this species, the skinnier (female) flower head is stacked immediately above the fatter one with no gap of stem visible in between.If you see a segment of stem you’re looking at narrowleaf cattail (T. domingensis or T. angustifolia). These two species are harder to tell apart–look for orange or yellow flowers, and dark dots on the inside of the lower leaf, to ID T. domingensis.